Surprisingly, for a drink which is low calorie (35cal per portion in fact) this had a lot of flavour! My chosen jelly was Totally Tropical. 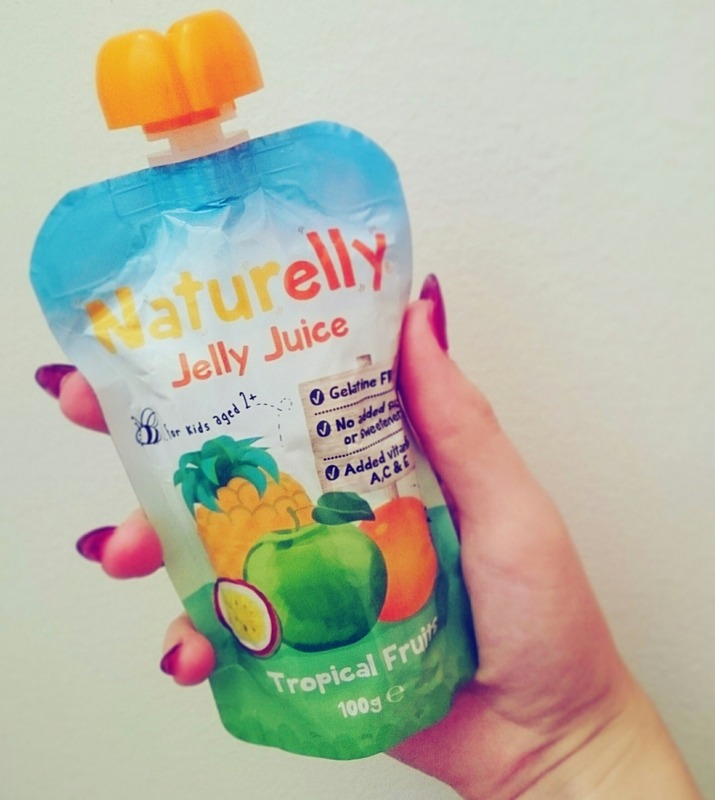 Totally Tropical is the new kid in school with the older flavours being Summer Fruits (apple, strawberry and raspberry) and Apple & Blackcurrant (as it says on the tin/pouch). Drinking/eating it, I found it muchos enjoyable. It was a good consistency of a more liquid jelly…a sort of jelly slushie? The packaging is very child friendly and reminded me of a Capri-Sun but a bit posher – twist cap vs straw poke system. I think these would be great for snacks – I’d take them to work. I would imagine though these are meant for lunch boxes and the jelly makes it feel like more of a ‘treat’ or a dessert for the person drinking it when compared to a normal fruit juice so it might make kiddies more likely to get this down their throats and absorb some goodness. Another perk of this product is that it uses Gellan Gum rather than gelatine – this is a non-animal gel source which is suitable for vegetarians and people with religious dietary requirements (e.g Kosher or Halal). And without added sugar/sweeteners I would say it’s a good call if you have kids and want them to snack on something decent or if you’re an adult and just like a bit of jelly now and then. I hope you were ready for this jelly.